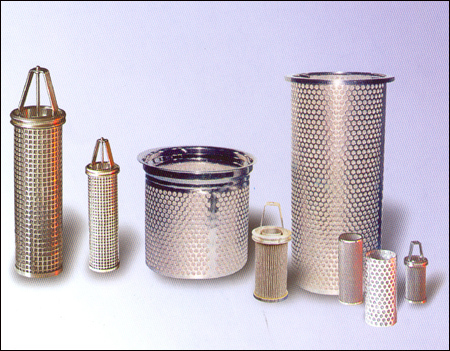 Stainless steel filters are typically constructed of multiple layers of woven stainless steel wire mesh formed and welded into self-supporting filter elements. The stainless steel material offers several distinct advantages for selected caustic, or high purity applications. Stainless steel filter mesh is available in many grades. Mesh grades are categorized by application requirements. Mesh grades range from very high transparent thin filter mesh to a course rigid welded stainless mesh. 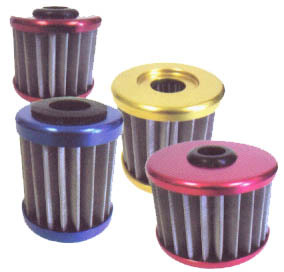 Stainless mesh filters are capable of filtering particles from several microns using "Dutch" type weaves to large course weaves to separate large objects from fluids (drain pipe) flows.